How to Build a Budget Gaming PC under ₹25,000 ($370)? Do you currently not have a good pc to play games? Do you still struggle with your old PC from the 2000s? Do you need a PC that serves the entertainment and as well as light gaming? Do you think you need an upgrade but don’t have a huge budget to buy a gaming rig? Well worry not my friend, I do have an interesting, entry-level gaming PC configured just for you guys. 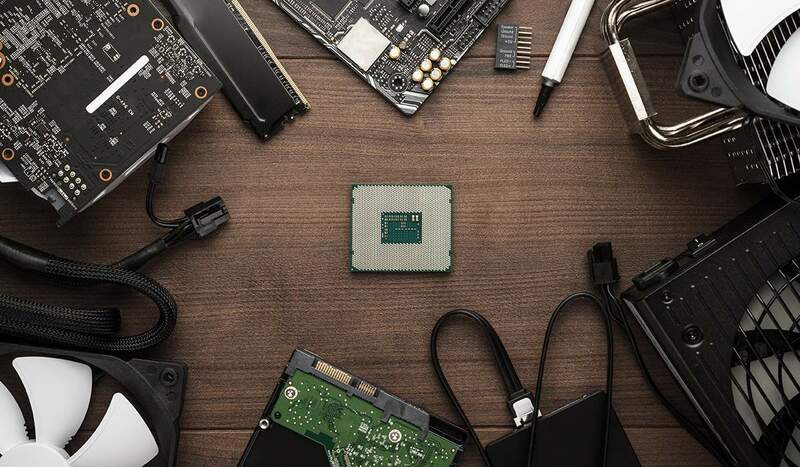 With the latest 2nd gen Ryzen APUs out in the market for cheap AF prices, the budget gaming market has seen some rise in sales. Team Red’s latest offerings Ryzen 3 2200G and Ryzen 5 2400G come with integrated graphics, so good that they put UHD 630 to shame(Intel’s iGPU in case u didn’t know). The 2200G has a Vega 8 iGPU while the 2400G ships with a Vega 11 iGPU. Keeping the low budget in mind, I’ve configured a PC around Ryzen 3 2200G, which serves as a great entertainment PC in your living room and also serves as casual gaming PC if the situation demands it. The specs of the PC are as follows and all prices are in INR. The total roughly comes close to 24,965 INR. If you prefer a cheaper case, that would be ok too. I mean there are cases which come with SMPS out of the box for around 2,000 INR. Let me shed some light over the parts I chose for this build and why not Intel alternatives like G5400 or G4560. For starters, Ryzen 3 2200G is a 4 core 4 thread APU. It has a base clock of 3.5 GHz and boost clock of 3.7 GHz. It can stretch up to 4.0 GHz on overclocking if you have a mobo of series 350 or higher. It has Vega 8 iGPU as mentioned earlier and is more than capable of handling current lighter titles like DOTA 2, CS: GO, or even cartoon-ish Fortnite. I didn’t pick G4560 or G5400 mainly because of high core count on Ryzen and ability to not bottleneck, unlike Blue team’s offerings. And also Vega 8 performs way better than the UHD 630. One more factor I would like to mention is Overclocking. Yes, all Ryzen Chips are factory unlocked but the Intel’s chips don’t support it unless they are K series chips. I chose to go with a basic 320 motherboard mainly because of cost and also the factor that we wouldn’t be overclocking this chip. However, you can go for a 350 series mobo for around 6,000 INR if you up the budget. This board has all the support you would need for a budget PC. It supports 32GB DDR4 RAM @3200MHz, has all the standard PCI slots and also m.2 slots. Tricky part with this motherboard is that you would have to update its BIOS to use 2nd gen Ryzen chips. You can read about the APU in the link provided. Once again the budget factor and also cheapest 8 GB stick in stock are main deciders here. For a budget PC, 2400 MHz is more than sufficient and also since we won’t be getting a dank RGB transparent case or Motherboard, i chose to go with this RAM stick instead. Of course, if you have the money go for Corsair’s 8 GB RAM stick if you prefer the looks. I won’t be focusing on the HDD part. You could get any 1TB HDD you want, preferably Seagate Barracuda or WD Blue. Not much to speak here as well. The one I chose has 5-star ratings on the link as well as 350W is more than enough for this PC considering the hardware we’re using. Or you could upgrade to a Corsair VS450W if you wish to. If you look at the hardware we’re using, you would realize that none of them is flashy nor good looking. So why spend money on a transparent case? Hence the choice and this case also have a front USB 3.0 port. Coming to the numbers everyone cares about, we have mixed results. Lighter eSports titles and older AAA games ran quite smoothly while some newer titles like PUBG struggled quite a bit to keep up smooth frame rates. And also all the benchmarks were done at 1080p resolution with settings from low-high depending on game. If you are a gamer who plays CSGO, Rocket League, Fortnite or Dota 2 then this is the PC for you on the budget. However if you intend to play newer games like COD: WW II and PUBG and such, then you could upgrade to a 1050Ti and a higher clocked intel CPU. Hope i have given sufficient insight for the PC build. Feel free to comment down below if any changes are there or if you need other suggestions. See you guys in the next one! Need a Gaming pc my budget is 40k I want to play Cs Go , pubg, fortnite and upcoming titles like COD BO4. Can i get 1080p high settings 100fps ( pubg , fortnite) gaming in that budget? With that budget,100fps high in pubg isn’t possible buddy. 50-60 medium @1080p. If you want a Intel build go with i3-8100 and h310/h110 mobo and 8gb ddr4 ram and a 1050ti.These specs are good enough for csgo for stable 120-200fps in high .if you go low, you could bump upto 300 with some tweaks. If you prefer a ryzen build and also intend to overclock in same budget then go for ryzen 3 1200 , b350 mobo, 8gb ram and a 1050ti. The Vega igpu doesn’t have any ram. It uses the system ram that you put in your dimm slots. Also ryzen needs fast memory so over clocking the ram is a good idea. Should I prefer Vega 11 over Vega 8 ? Is the extra bucks worth it? The reason I chose to go with 2200G is cos of integrated graphics. It gives decent performance but if you have a bit of extra cash, then feel free to throw in a GT 1030 and a B350 motherboard for overclocking support. Update: https://www.youtube.com/watch?v=RXGjBDVuelM do check this link for the exact performance increase if you go with a 1030 along with this build. Another recommendation: If you don’t want to go through the hassle of updating BIOS of 320 motherboard, do go with a Ryzen 3 1200 and the 1030/ 1050Ti. The Vega iGPU heavily relies on the system RAM for Graphics memory. So dual channel memory would vastly increase the bandwidth along with the iGPU performance. I have some suggestions… Firstly, try comparing prices from Vedant Computers before buying parts from anywhere. I bought mobo, ram and hdd from there and saved around 3k INR since this is a “budget build”. Second, DUAL CHANNEL IS A MUST. Yes 8gb in total is enough, but make sure that it is a 2*4gb, preferably a higher frequency one (ddr4 3000mhz is 6.8k in vedant). The reason I’m stressing this is because I initially order a single 8gb stick and the performance SUCKED. Then I had to add another similar stick, and the performance boost was quite visible and was totally worth it. Again, since this is a budget build you could just go with a set of 2*4gb sticks. The boost will almost be similar, search for some videos in YouTube if you want proof. And finally, I’ve heard you (OP) advice some guy about upgrading the rig with a gt 1030 if he could afford. But why? The performance difference is so minimal when gt1030 and vega 8 are compared. Why waste money? Just spend a 1.5k more and buy a b350m mobo that could be overclocked with ease. Even if the thing you’re after is a budget build, just make sure that there’s a chance of upgrading your system in the future, with as less swapping as possible, so… avoid a320m at all costs with this build. BTW, my build had cost me around 34k. *oops the ddr4 3000mhz ram I mentioned is of the 8gb stick, forgot to mention that. And also the b350m has 4 ram slots, so even if you get just the 2*4gb set now you can add additional sticks in the future in the remaining slots. This isn’t possible with a320m mobos. Hi buddy. Yes i do know about Vedant Computers as well. I did a price check on the hardware on both the sites and their pricing was almost ±10%. Hence i chose to go with only one site which is MD at the moment(considering latest pricing as of 19-06-2018). Coming to faster RAM, i did a check on that too. U mentioned 3000 MHz would be a good fit , and yes i agree to you on that. But the current pricing situation and stock issue at the time of writing this article on both sites makes it hard to choose between 2400 MHz and 3000 MHz for Dual Channel. If you happen to know any DDR4 dual channel memory, please leave a link below, I’ll check it out and make the changes. About the recommended GPU 1030, its worth the upgrade if you’re a casual gamer. I mean if you play eSports titles like CSGO, DOTA 2, PUBG and such lighter games. 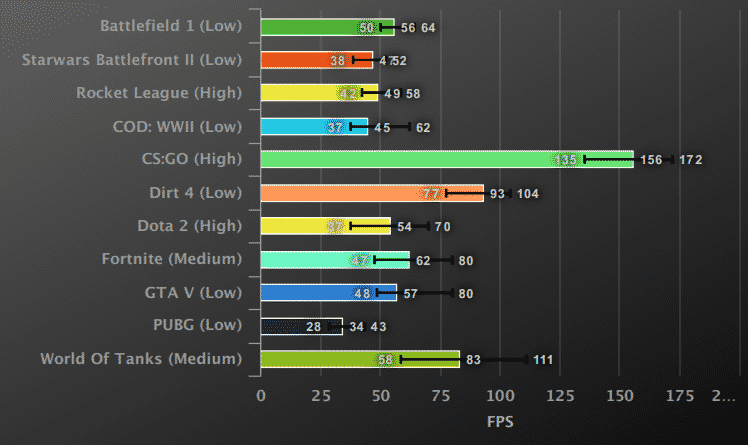 The performance increase is around 10-15% depending on the game. For heavier titles like Witcher 3, GTA V or Final Fantasy XV and similar, the performance increase in around 5-10% or negligible. And I would remind again, if future upgrade was the idea behind this build then I would definitely have chosen B350 over A320 any day. Since i’m sticking to a budget here, that was good choice for the price. Can it play 4k HDR videos in VLC ?